The PokerListings.com Battle of Malta has crowned a new champion, and his name is Louis Cartarius. 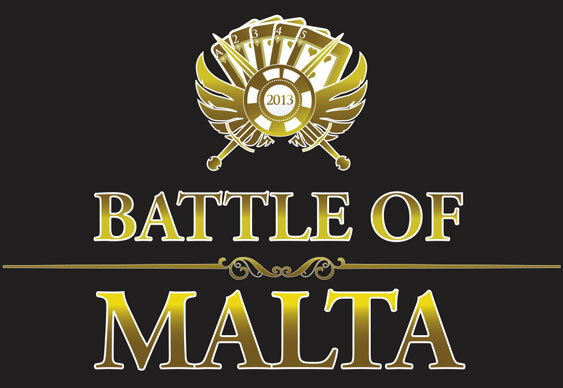 Attracting a total of 888 players eager to claim the money up for grabs, this year’s Battle of Malta constitutes the biggest live tournament the country has ever seen. German player Cartarius was a surprise winner, coming up from behind to usurp long-time chip leader Ambjorn Haga. Despite his steady dominance in the later levels, Haga had the rug pulled out from underneath him when he was eliminated by Cartarius in 3rd place. The defining moment of the tournament happened when three-handed play was entered. Cartarius won a monumental coinflip when his pocket fours held out against Haga’s Ace-Nine, and joyfully doubled up. Haga, who had so far acted as something of a wrecking ball on the final table, lost his chip lead. For a while it looked as though victory could end up falling in the lap of Konrad Abela, who was playing in his home town. Abela seized the chip lead, and the three continued to scuffle. Haga’s dreams of glory eventually came to an end when he moved all in with pocket fives and was called by Cartarius, who was holding pocket eights. The miracle two-outer didn’t come – in fact, Cartarius even hit an eight on the flop – and Haga hit the rail. The Norwegian pro had been bulldozing the field before, and spectators were in shock at his exit – but the action raged on. Cartarius held the chip lead at the beginning of heads-up play, but it soon became clear that Abela wasn’t giving up without a fight. Thus began a war of attrition, with Cartarius slowly eroding Abela’s stack over a prolonged period. Things finally came to a head when Abela pushed all in with Ace-Jack offsuit, and was called by Cartarius, who was holding the dominating hand of Ace-Queen of hearts. A flash of hope came for Abela when the flop fell containing a Jack, but this was cruelly taken away almost instantly when the turn came a Queen. The river bricked and Abela was knocked out, while new champion Cartarius claimed first place and a staggering €80,000 in prize money. Cartarius, an online grinder from Frankfurt, was happy and jubilant at the result. “This is my biggest live score for sure,” he said. This concludes the Battle of Malta for another year, but its return will no doubt be hotly awaited by the poker community. It is almost hard to believe that the tournament made its debut only last year – with his title, Cartarius won more than double the amount of 2012 winner Nicodemo Piccolo (who banked €35,000 for his troubles). Having seen this, the prize pool is likely to balloon even further next year, so watch this space.